PDP Petitions ICC, UN Over Buhari’s Comment On Rights Violations. The Peoples Democratic Party (PDP) has again reported President Muhammadu Buhari to the United Nations and the International Criminal Court (ICC) at The Hague. The party urged the two bodies to take judicial note of the boast by the president affirming and approving his violation of fundamental rights of Nigerians during his regime as military head of state. 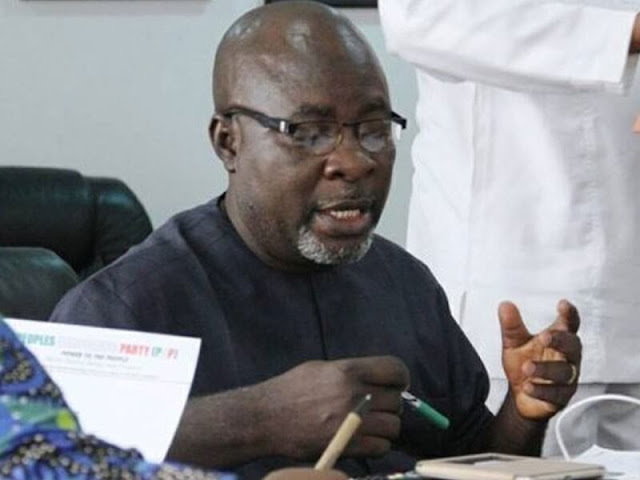 In a statement issued by its National Publicity Secretary, Kola Ologbondiyan, PDP said President Buhari has been overheating the polity with inflammatory and anti-democratic comments, which have been promoting state involved violence, sectional bloodletting and resentment; exacerbated hatred, abuse of rights and brazen violation of our constitution and democratic order. The opposition party noted that whereas the country’s constitution and all tenets of democracy and justice across the world hold all citizens innocent until proven guilty in court of competent jurisdiction, President Buhari has been promoting the otherwise and feels favourably disposed to acts that suspends our constitution and imposition of military diktat. “This particular hate speech by President Buhari has finally confirmed the underlining impetus behind the prevailing executive highhandedness, the trumped-up charges against the opposition, persecution of political opponents, flagrant disobedience to court orders, brazen harassment, arrests, molestations, illegal detention and extra-judicial execution of innocent Nigerians as already catalogued by the PDP and international bodies, including the United States Department of State. Furthermore, the world now know why appointees of President Buhari have continued to hold the institution of democracy, particularly the National Assembly and the courts, in utter disdain, in addition to the continuous harassment of federal legislators and intimidation of judicial officers. “Nigeria has not been more divided than it is today under President Buhari and unguarded comments, which have continued to overheat the polity and set citizens against one another. The PDP said it would continue to stand with the people and work for the unity, cohesion and protection of all Nigerians irrespective of creed, ethnicity and political affiliations.